With the order for health and safety at work concerning noise and vibrations (“Lärm- und Vibrations-Arbeitsschutzverordnung”) taking effect, the guiding values that used to be set in rules issued by Employers’ Liability Insurance Associations were tightened by 5 dB(A). 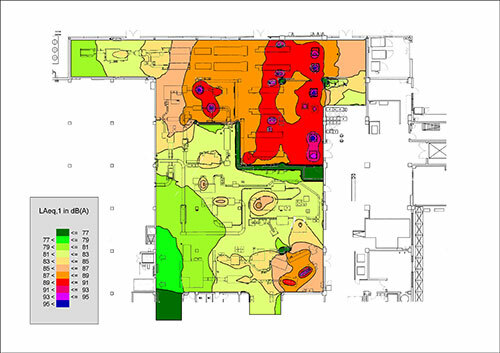 At workplaces, the daily sound exposition level measured according to DIN EN ISO 9612 with all sound sources in the room, including reflections, acting together must not exceed 80 dB(A) when a so-called “noise area” shall be avoided. This means for machine manufacturers that the emission sound pressure level at the workplace, that is being measured without other sound sources and reflections, should not exceed 75 dB(A). 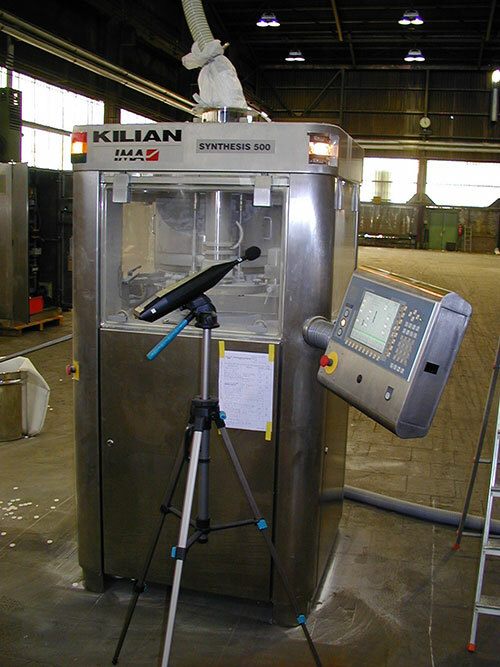 We determine the emission sound pressure level of your machines according to a standard of the DIN EN ISO 11200 series in connection with machine-specific standards. 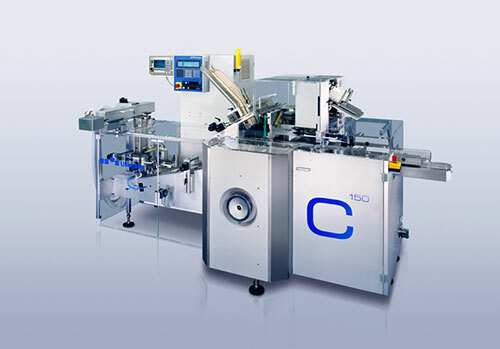 In the course of sound and vibration-related investigations, the sound emission of packing machines (thermoformers, cartoners) was being investigated. Measures for reducing the sound emission were developed and implemented. We determine the sound power level of those machines responsible for the noise at your workplaces and create an acoustical calculation model that allows reproducing the sound pressure level distribution in the room, which is the basis for a sound reduction programme.